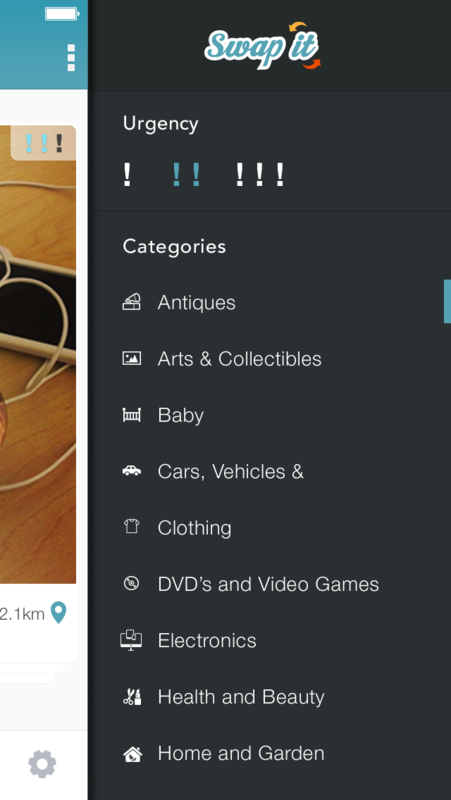 Swap It allows entertaining and easy browsing of goods and services, with a twist! With Swap It you directly swap what you have for what you want. Money is cut out of the equation; it's buying and selling made simple. Offer absolutely anything, good or service, and see what people are willing to give you for it. Sleek design partnered with a modern app navigation makes using Swap It a simple and aesthetically pleasant experience. Swap It specialises in exchanges without money; trading is the focus, not just an extra thrown in with the stock-standard buy/sell/swap marketplace. -Browse through your favorite category. -'Express interest' on any and all listings you like the look of (this will link the user who's offer it is to your profile). -If the other user likes anything you're offering they can choose to open communication so trade can be negotiated and method of delivery decided upon. -Once a swap is completed, the listing will be removed and both parties will give and receive a rating. Alternatively, you can just upload your listings and see what other people offer you. >>Title-Short title of what the offer is. >>Category-Category the offer falls under. >>Value range-Rough price range of the offer. 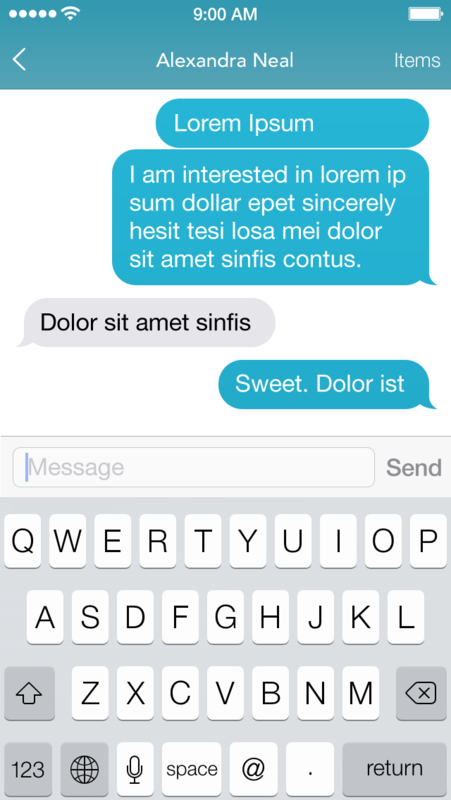 This helps users find more suitable swaps that correspond with their offer. 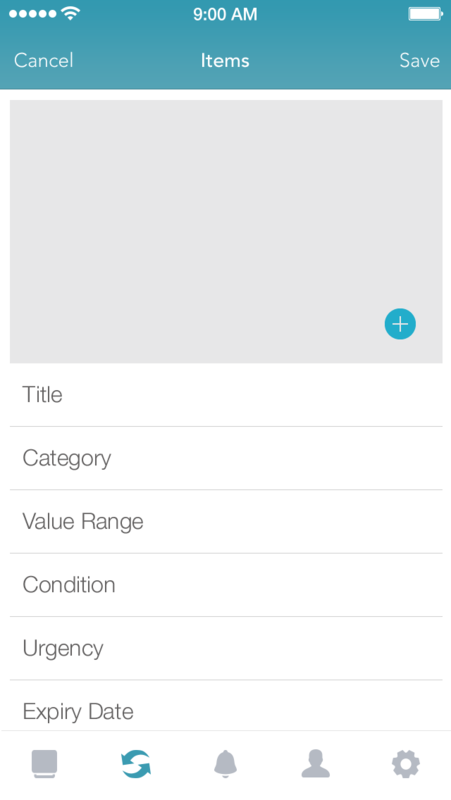 >>Condition-Gives an indication of what sort of condition an item is in (wont be required for a service listing). 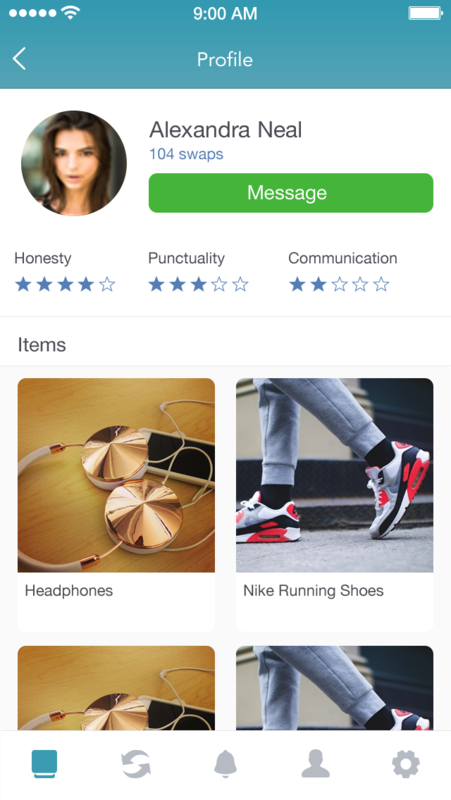 >>Urgency rating-A rating from 1-3 that displays how urgently a user wants to swap their offer. More beneficial swaps will be possible on offers with higher urgency ratings. >>Expiry date-When the expiry date is up the offer will be automatically removed, this will prevent 'dead' listings. >>Location-Location of offer to the nearest suburb. >>Additional details-Details on the offer (dimensions, material, specific faults...). Through this information, which is entered when an offer is uploaded, users can make their searches as specific or as broad as they choose. 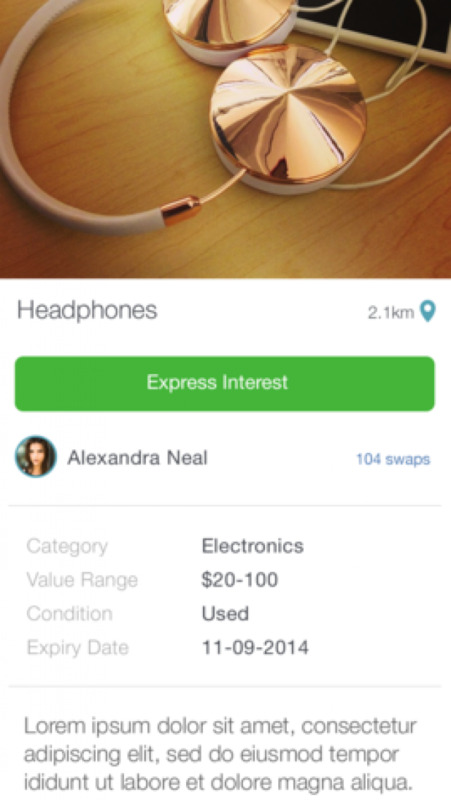 Get ready to see what you can find with Swap It!